Your loved one has been involved in an emotion-charged event, often known as a critical incident. 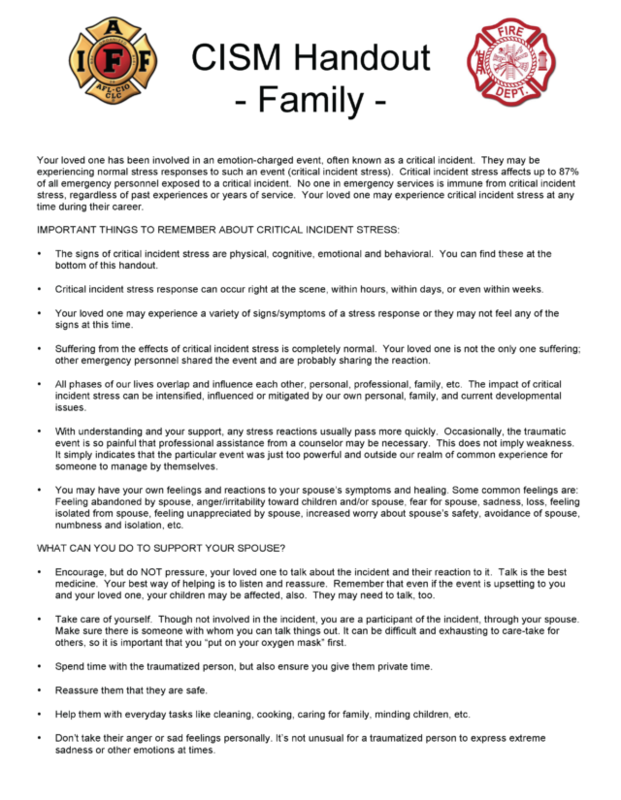 They may be experiencing normal stress responses to such an event (critical incident stress). Critical incident stress affects up to 87% of all emergency personnel exposed to a critical incident. No one in emergency services is immune from critical incident stress, regardless of past experiences or years of service. Your loved one may experience critical incident stress at any time during their career.